Stocks remained in a holding pattern Thursday. Major indexes edged lower after a report that showed the jobs market is maintaining a slow, but steady, recovery failed to inspire investors. NEW YORK (AP) — Stocks remained in a holding pattern Thursday. 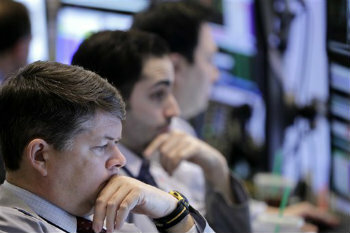 Major indexes edged lower after a report that showed the jobs market is maintaining a slow, but steady, recovery failed to inspire investors.